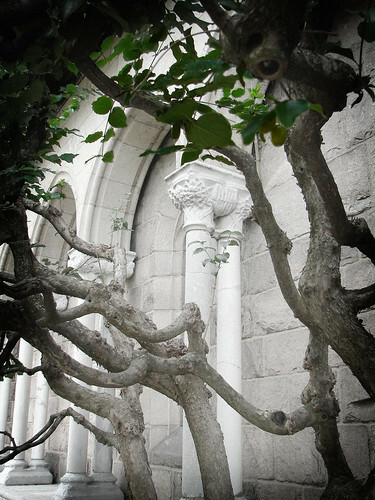 A detail of the Bonnefont Cloister at The Cloisters, in New York City. Photo and editing by Rick Morley. • a version of the Prayers of the People, based on the lessons of the day. Well, politics in America is alive and…uh…well? Ok, I won’t go that far, but it is humming along. Loudly as ever. Every day pundits talk about the tightropes that politicians walk, day-in and day-out. They can’t say *this* thing because that would anger a particular constituency. And yet, they can’t say this *other thing* because it would set off yet another constituency. Politics becomes this game of throwing around red meat one night, and squeezing into tight cracks that don’t tick off the electorate the next. Jesus asked them a brilliant question (in response to a question from them), that is so brilliant they can’t answer it. As Matthew tells the story we don’t even get a sense of what the chief priests and elders actually thought the answer was. 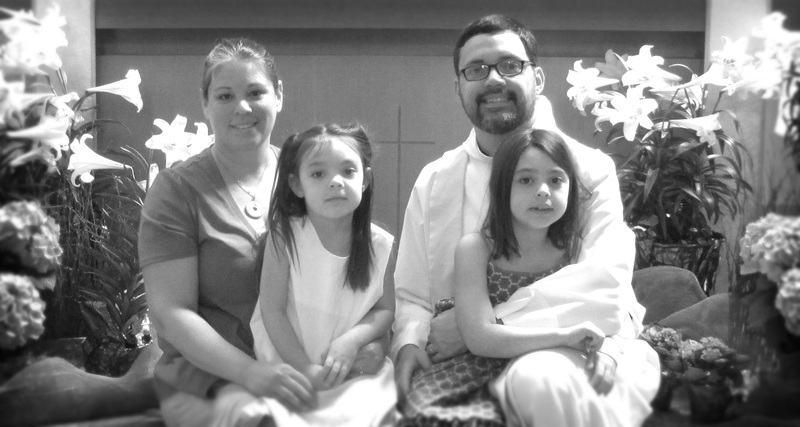 Did they think John’s baptism was from from heaven? Or, did they think it was just something that he dreamed up? I can’t even tell if they had an answer in mind—because they are utterly consumed with the political ramifications of their answer. They didn’t care what the answer was, as long as the answer was popular. Jesus hammers them, and insults their self-righteous religiosity by telling them that the prostitutes are entering God’s Kingdom before them. Oh, that must have gotten their goat. I like to think that if they had given an honest answer—even the wrong answer—that Jesus would have had compassion on them. Perhaps he would have gently set them right. But, to seek first a “safe” answer, and then do the safest thing they could—give no answer at all—is a clear demonstration of their willingness to put their own self-preservation ahead of their pursuit of God and the Truth. Now, don’t get me wrong, I’m all for searching for the middle way. I’m all for looking for gray in the midst of a world that so much prefers black-and-white. But, people who pursue the Kingdom of God and the way of Jesus aren’t called to blurt out safe answers. Expedient answers. Popular answers. Preaching the Good News, and living the Good News, and seeking the Kingdom, means sticking your neck out. Searching for the truth. Being wrong, and turning back on the Way that leads to Life. It’s fumbling in the dark—looking into the glass darkly—but always seeking out the kind of Truth that brings healing, hope, redemption, and reconciliation. Thanks for that insight. I’ve never seen the scripture reading through that angle before. It makes sense to me through that door. Rick, put Christian at the head of that list!! Thanks for the ideas. I’ll be borrowing for Sunday School tomorrow!